Did you hear that?! 6 weeks! That means you can make these before you even send out your invitations. Okay, that’s a bit outta my league. I don’t know if I’ve planned that far in advance for anything. Well, my wedding got a little more time, but, not much more. I’ve have to admit when I first put these in the jars I thought they looked more like something out of a mad scientist’s lab. Too bad I didn’t make them prior to Halloween! Either way, they are delicious on their own or in a salad. 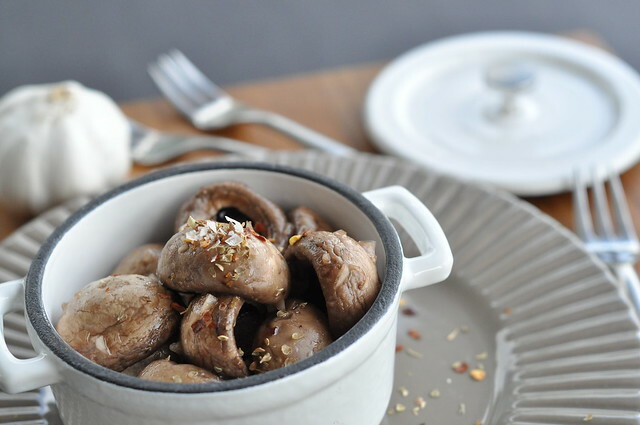 The mushrooms should be bite sized, 2 bites at most. Quarter them if they’re too large. Place them in jars, filled to the top. 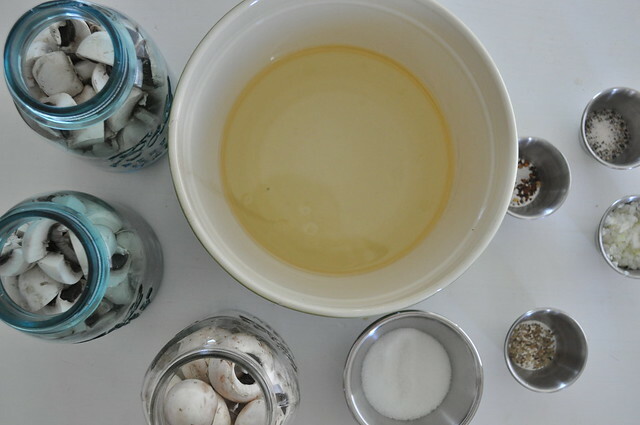 Mix the remaining ingredients and then pour over the top, dividing evenly between the jars. Shake then refrigerate. Shake once daily for the next three days. Enjoy chilled as an appetizer or as a salad garnish. Keeps in the refrigerator for up to 6 weeks. 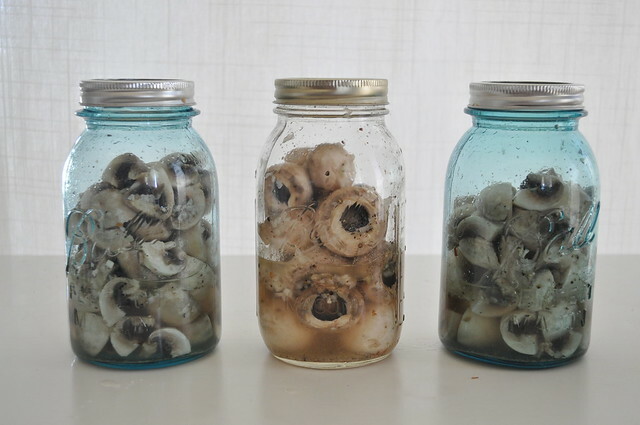 I quartered 2 jars worth and had one jar with the smallest mushrooms whole. Doesn’t this look like a mad scientist project?! Once they’ve marinated for three days they’re ready! 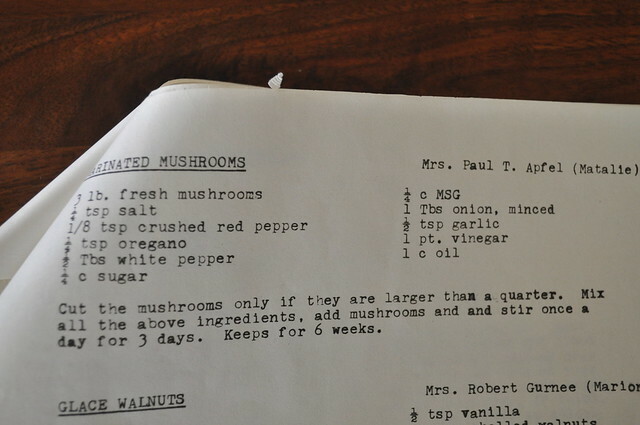 btw…I took the MSG out of the recipe. Can’t believe that was even an option! ick! Would you have added the MSG? !